PedNet Coalition builds a stronger Columbia by advocating for improved walkability, bikeability, accessibility, and public transit. Whether you’re 8 or 80, we work to make it safe and convenient for you to get where you’re going. We can address great social problems by making the most basic forms of transportation convenient and safe. Walking, biking, accessibility, and public transit strengthen our community’s health, environment, equity, access to jobs, and economy. Columbia is a leading city in the Midwest for walking and biking because of PedNet’s work over the last 19 years. Our long history of advocacy at the local, state, and federal levels has been made possible by our members’ generous financial support. A series of seven sessions will offer residents information about changes to Go COMO, and staff will be available at the Wabash Station on several days. Sudwerk Brewing Co. will be providing our happy hour beer during Hinkson Happy Hour this year! Sudwerk has been brewing German style lagers in Davis, California since 1989. Wednesday, April 25th the American Public Transportation Association is hosting #GetOnBoard day. Get on Board Day is a new national awareness and advocacy day that is all about generating awareness of and increasing support for public transportation among riders and non-riders, elected officials, and stakeholders. The Missouri Department of Natural Resources is hiring a Park Operations & Planning Coordinator for Missouri State Parks. 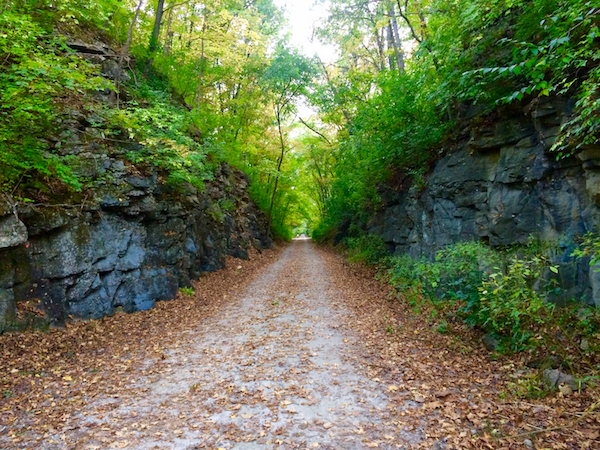 This position provides statewide oversight of Missouri State Parks trails, including design, layout, construction, mapping, signing and repairs.